The next Albany Sonic Arts Collective show is a doozy. I’ll have to miss it, but don’t let my poor fortune prevent you from getting there. 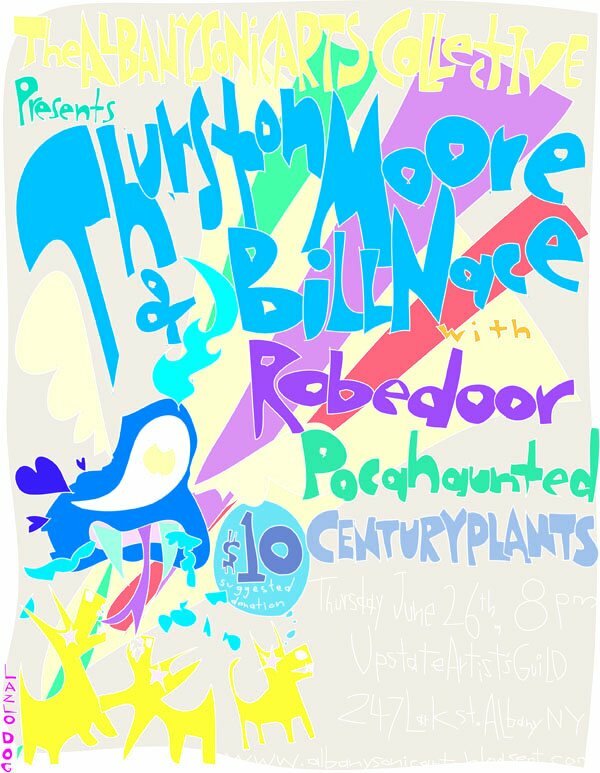 This entry was posted in Music and tagged Albany, Albany Sonic Arts Collective, Bill Nace, Century Plants, Music, Pocahaunted, Robedoor, Thurston Moore, Upstate Artists Guild by Holland Hopson. Bookmark the permalink.